For Sale All Locations, South Carolina, Florence N. Irby St. & McIver Rd. This highly visible industrial/distribution development site is situated near the intersection of TV Road and McIver Road, approximately 2 miles from Interstate 95. It is embedded among an established industrial market. 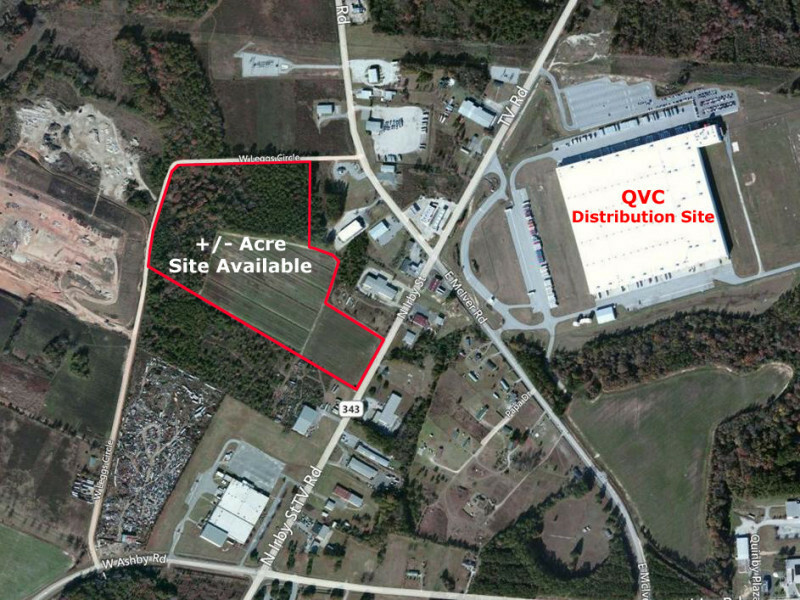 The site has easy access and is strategically located across from the 1.5 Million square foot QVC Distribution Center. In addition to access from TV Road, the site has secondary, private access at the side and rear of the site. This is a prime development lot with excellent potential.